This charming illustration is available as a digital download in my shop. Click here to snag one for yourself! You get a high resolution (300 ppi) digital file sized to 8″ x 10″ that you can print out yourself and frame or use otherwise. The file format is a widely used pdf that can be opened and used across many computer platforms. The watermark will not appear on your download. This print is out of copyright. You may use this artwork for personal, educational, and small business projects in any quantity. You may NOT resell the image itself in part or whole. This artwork is royalty free; you pay once for its use and then you may print as many copies of it as you like. 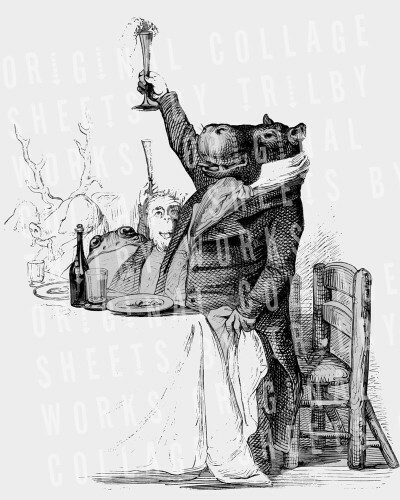 The toasting hippo print would be wonderful on a wedding invitation or favor or could be used for an anniversary or shower. 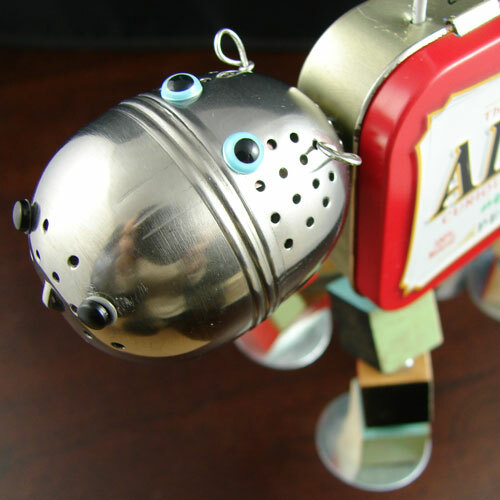 Dancing Robots Digital Download Collage Sheet Great Leopard’s Bane George Baxter Botanical Print, Friday Freebie My Hippo Mint Tin Art is Famous!